Haustein, S., Sugimoto, C.R., Larivière, V. (Eds.) (2015). 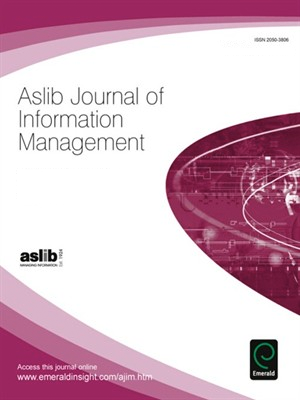 Numéro spécial de la revue Aslib Journal of Information Management. (Emerald Group Publishing) intitulé “Social Media Metrics in Scholarly Communication”, 67(3). Social media metrics – commonly coined as « altmetrics » – have been heralded as great democratizers of science, providing broader and timelier indicators of impact than citations. These metrics come from a range of sources, including Twitter, blogs, social reference managers, post-publication peer review, and other social media platforms. Social media metrics have begun to be used as indicators of scientific impact, yet the theoretical foundation, empirical validity, and extent of use of platforms underlying these metrics lack thorough treatment in the literature. This editorial provides an overview of terminology and definitions of altmetrics and summarizes current research regarding social media use in academia, social media metrics as well as data reliability and validity. The papers of the special issue are introduced. Stefanie is a post-doctoral researcher currently focusing on social media in scholarly communication and making sense of so-called « altmetrics ». Stefanie holds a Master’s degree in history, American linguistics and literature and information science and a PhD in information science from Heinrich Heine University Düsseldorf, Germany, where she is a visiting lecturer. She has previously worked as a bibliometric analyst at Science-Metrix in Montreal and at Forschungszentrum Jülich, Germany. She frequently presents at international conferences and has published in journals such as Journal of the American Society for Information Science and Technology, Scientometrics, Journal of Informetrics and PLoS ONE. Cassidy R. Sugimoto is an assistant professor at Indiana University Bloomington. She earned her bachelor’s, master’s and doctoral degrees from the University of North Carolina at Chapel Hill. Her work has appeared in a dozen journals, most notably in the Journal of the American Society for Information Science and Technology and Scientometrics, on whose editorial boards she serves. She is active in the American Society for Information Science & Technology, having been elected to the Board of Directors as well as chairing and serving on multiple special interest groups and chapters. Her research has been funded intra-murally as well as by professional associations (ALISE, ASIS&T) and national agencies (e.g., NSF). Vincent Larivière is assistant professor of information science at the École de bibliothéconomie et des sciences de l’information, l’Université de Montréal, where he teaches research methods and bibliometrics. He is also the associate scientific director of the Observatoire des sciences et des technologies and a regular member of the Centre interuniversitaire de recherche sur la science et la technologie. His work in the area scholarly communication has been published in journals such as the Journal of the American Society for Information Science and Technology, Scientometrics and Journal of Informetrics. Vincent holds a B.A. in Science, Technology and Society (UQAM), an M.A. in history of science (UQAM) and a Ph.D. in information science (McGill), and has performed postdoctoral work at Indiana University’s Department of Information and Library Science, School of Informatics and Computing. Ce contenu a été mis à jour le 15 janvier 2016 à 11 h 05 min.